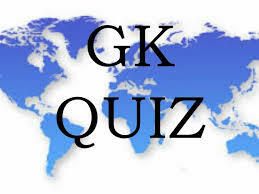 General Knowledge questions on Indian GK for Bank PO, IBPS, Bank Clerical And Indian GK For Railway GroupD,RPF,Rajasthan Police SI 06-09-2018 questions for bank exams, very important computer-related questions for Bank PO, SBI PO, IBPS,RAS, IAS, UPSC, RPSC, 1st, 2nd, 3rd Grade Teacher, REET CTET, LDC, SSC CGL, IBPS, MBA, CAT, MAT, SBI-PO, RBI And Railway, Indian Army And all competitive Exams, and Most expected Computer Question Papers with answers. These Questions are most commonly asked in Other Banking Exam And All subject Wise Notes and Math, Hindi, English, History, Political Science, Psychology, Sanskrit Related Study material. RPSC, 1st, 2nd, 3rd Grade Teacher And Railway Group D, RPF, Rajasthan Police SI related Study material. Question(1) Which constitution amended the Panchayati Raj system? किस संविधान संशोधन द्वारा पंचायती राज व्यवस्था लागु की गयी ? Question(2) Where is the headquarters of the World Trade Organization? विश्व व्यापार संगठन का मुख्यालय कहाँ है ? Question(3) The Chauri-Chaura scandal, which movement did Mahatma Gandhi postponed? चौरी-चौरा कांड के बाद महात्मा गाँधी ने कौनसा आन्दोलन स्थगित कर दिया था ? Question(4) What is the coast of Kerala? केरल के तट को क्या कहते हैं ? Question(5) Zend-Avesta is the religious book of which religion? जेंद-अवेस्ता किस धर्म की धार्मिक पुस्तक है ? Question(6) When was the National Anthem of India first ever sung? भारत का राष्ट्रगान सबसे पहले कब गाया गया था ? Question(7) What is the chemical formula of water? पानी का रासायनिक सूत्र क्या है ? Question(8) What is the hardest substance found in nature? प्रकृति में पाया जाने वाला कठोरतम पदार्थ कौनसा है ? Question(9) What is the average amount of salts in seawater? समुद्री जल में लवण की औसत मात्रा कितनी होती है ? Question(10) Who is the President of the National Development Council? राष्ट्रीय विकास परिषद् का अध्यक्ष कौन होता है ?